Live Photos is an iPhone camera feature that brings your photos to life by creating a moving image. Instead of freezing a moment in time, you can now capture a Live Photo with movement and sound. 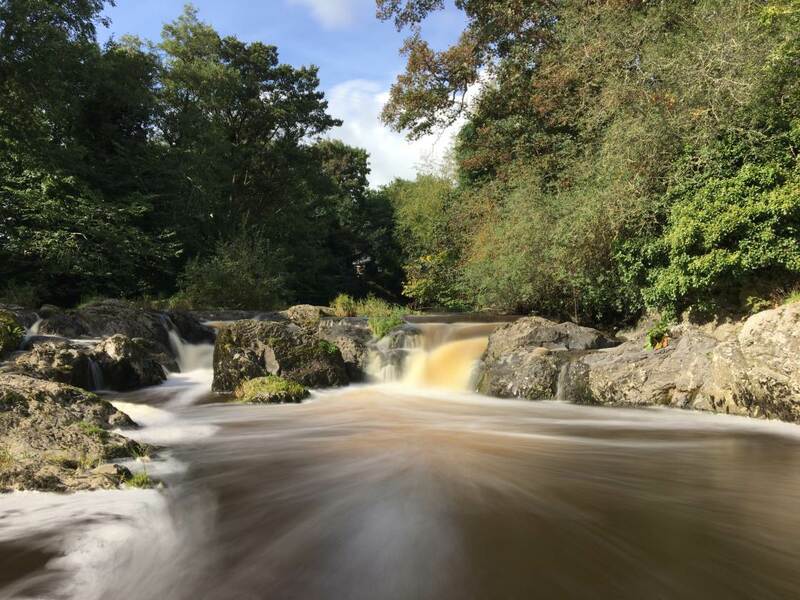 iPhone Live Photos can be converted into stunning long exposure images. And you can apply loop or bounce video effects for added interest. Do you want to create unforgettable living memories with your iPhone? Read on to discover how to use Live Photos in the iPhone’s built-in camera app. A Live Photo captures 1.5 seconds of video and audio both before and after you press the shutter button to take a photo.  As well as a high quality still JPEG image, you also get a 3 second Live Photo with sound. When you play a Live Photo, you don’t see the still image that you took when you pressed the shutter button. Instead, you’ll see a 3 second moving image. This lets you relive those moments before and after you took the photo. Use iPhone Live Photos when photographing any scene with moving subjects or interesting sounds. It will capture all those extra little details that you can’t convey in a still image. How does the iPhone know to record video for the 1.5 seconds before you press the shutter button? It’s actually quite simple. With Live Photos enabled, the built-in camera app starts recording video as soon as you open the app. So when you press the shutter button, your iPhone has already captured the 1.5 seconds before the shot. It saves this footage along with the 1.5 seconds following the image capture. Your iPhone discards all other video footage captured before and after those 1.5 seconds. So you don’t need to worry that the constant video recording will fill up your iPhone’s storage. 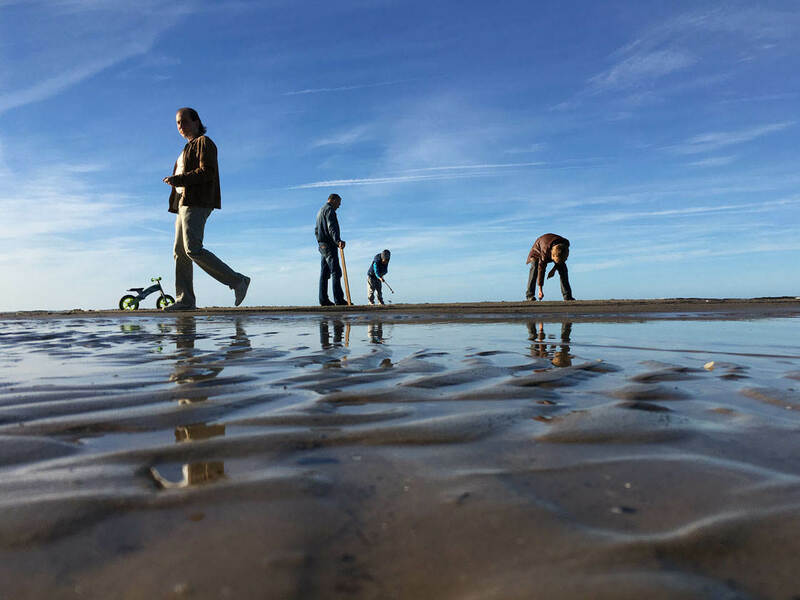 The iPhone Live Photo feature is perfect for capturing any scene with movement. Crashing waves, a river or waterfall, trees swaying in the wind, or a busy street scene all make great Live Pictures. It’s also fantastic for scenes where the sound would add an extra sensory element to the image. For example, birdsong or the sound of water when you’re shooting out in nature. Live Photos also works well when photographing people – especially children. It allows you to capture those fun “out-take” moments before and after you take the photo. Without Live Photos, you wouldn’t be able to preserve these special little moments. So how do you actually use the Live Photo feature on your iPhone? Below is a step-by-step guide to shooting, viewing, editing and sharing your own Live Photos. In this section you’ll learn how to take Live Photos on your iPhone. Start by opening the built-in camera app, and set the shooting mode to Photo. You can’t shoot Live Photos in any of the other shooting modes. The Live Photos setting is the round icon shown on the left of the screenshot below. If the icon is yellow, Live Photos is on. If the icon is white, tap it once to turn on Live Photos. Live Photos is on by default, but you can switch it off at any time by tapping the yellow Live Photos icon. 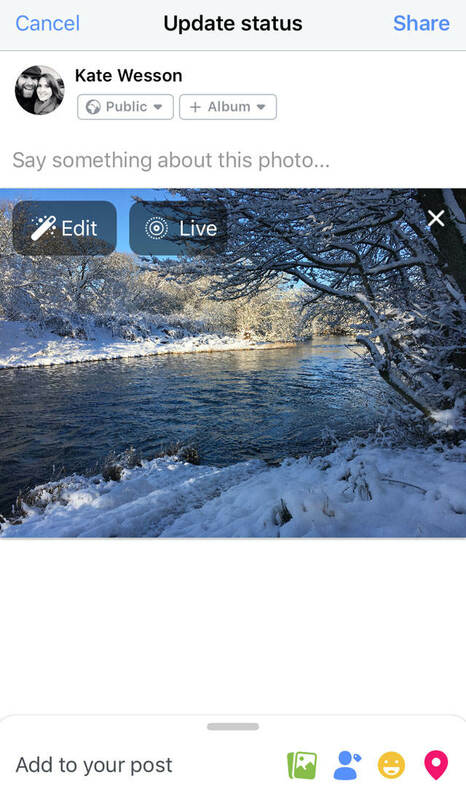 When you switch on Live Photos, the word “Live” appears in a yellow box as shown above. This will disappear after a couple of seconds. Remember that the 1.5 seconds of video starts before you press the shutter button. So make sure you compose your shot and hold it there for a couple of seconds before you press the shutter. If you don’t do this, the first part of your Live Photo will be of you moving the camera to frame the shot. Likewise, your iPhone will record video for 1.5 seconds after you’ve pressed the shutter. So make sure you keep your phone still for a couple of seconds after taking the shot. Also, be aware that Live Photos capture audio as well as video. So you’ll hear any sound in your Live Photo when you play it back. If you’re taking an action shot of a person, you might need to tell your subject to move when you take the photo. Do this at least a couple of seconds before you press the shutter so that you don’t capture your voice in the Live Photo. When you no longer want to shoot Live Photos, switch off the Live Photos feature so that the icon turns white. Live Photos take up a lot of storage space on your iPhone. So if you leave it on for every shot you may find that your phone becomes full. Unfortunately, in thumbnail view, there’s no way of knowing whether an image is a Live Photo. In the screenshot below, there are several Live Photos amongst these images. But it’s impossible to tell which ones they are when viewing them like this. So how do you know which of your images are Live Photos? One way is to tap the thumbnail so it opens in full screen. If it’s a Live Photo, you’ll see the word “LIVE” at the top of the photo. Another way is to use the iPhone’s “Peek and Pop” feature. This makes use of the pressure-sensitive 3D Touch technology found on the iPhone 6s and newer. To “Peek and Pop,” firmly tap and press an image until you feel a short vibration. You’ll see a large preview of the image (this is the “peek” part). If it’s a Live Photo, it’ll play a short video clip from the capture. Next, continue pressing down even more firmly to enter full-screen mode (this is the “pop” part). Keep pressing to watch the entire 3 second video clip. When viewing a Live Photo, you’ll need to keep your finger pressed down on the screen. As soon as you remove it, the video will stop playing. When swiping through your images, any Live Photos will show a short burst of the recorded video.  This is the only way to tell whether it’s a Live Photo without pressing down on the image. You can only shoot a Live Photo with the iPhone 6s/6s Plus or newer. But you can share them to older iPhones or an iPad as long as that device is running iOS 9 or later. The only difference with older devices is they don’t have the pressure-sensitive screen. So you have to keep your finger on the Play button to view the Live Photo. Unfortunately this is in the middle of the screen, so your finger will obscure part of the photo. 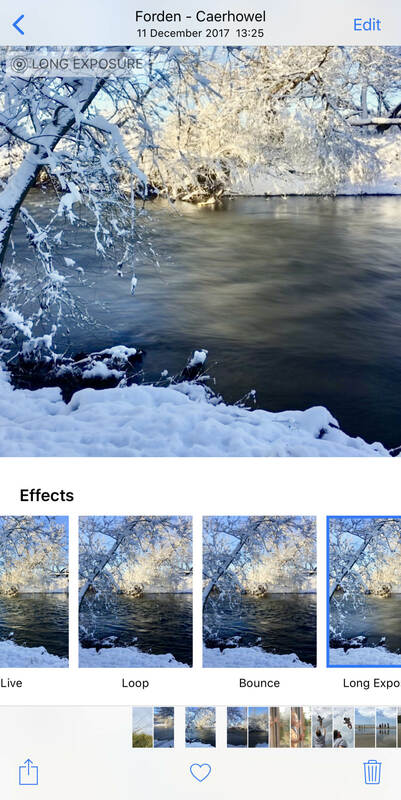 You can edit Live Photos in the Photos app in a similar way to editing still images. For Live Photos there are some extra editing tools. These tools allow you to crop and rotate, apply a filter, or make lighting and color adjustments. The wand icon is an autocorrect option for enhancing exposure and color with a single tap. To rotate the photo by 90 degrees, tap the Rotate icon. To free-rotate the image, move the large numbered dial clockwise or anti-clockwise.  A white dot will appear over your chosen photo. A grey dot appears over the original key photo in case you ever want to go back to it. Since iOS 11, you can apply three special effects to your Live Photos: Loop, Bounce and Long Exposure. Tap the effect you want to use (Loop, Bounce or Long Exposure). The effect will apply to your Live Photo immediately. You can change your mind at any time by tapping on a different effect. Or select Live to return to the original Live version with no effect applied. You can turn any of your Live Photos into a continuous video loop. Once the video ends it starts back at the beginning again, until you stop it. This works best where the subject is doing something in roughly the same area of the scene. For example, someone skipping, juggling or dancing. It can also work well if your subject enters and exits the scene during the original 3 second Live Photo. For example, someone getting out of a vehicle and leaving the scene. The end result could look like hundreds of people leaving the vehicle!  Bounce is a fun effect that makes your Live Photo video play as normal, and then in reverse. It repeats this until you stop the video. The Bounce effect makes the waterfall below look rather unnatural. But it’s definitely interesting! The Long Exposure option creates a photo with a slow shutter effect. It overlays all the video frames from your Live Photo to create a single image. Long exposure is most suited to scenes that include movement as it blurs the motion. Flowing water, fireworks or a moving car’s lights look great with a long exposure effect. If you think you’ll want to create a long exposure from your Live Photo, it’s best to use an iPhone tripod. This ensures that the stationary parts of the scene remain sharp in the final image. Once you’ve shot some great Live Photos on iPhone, you might want to share these moments with family and friends. 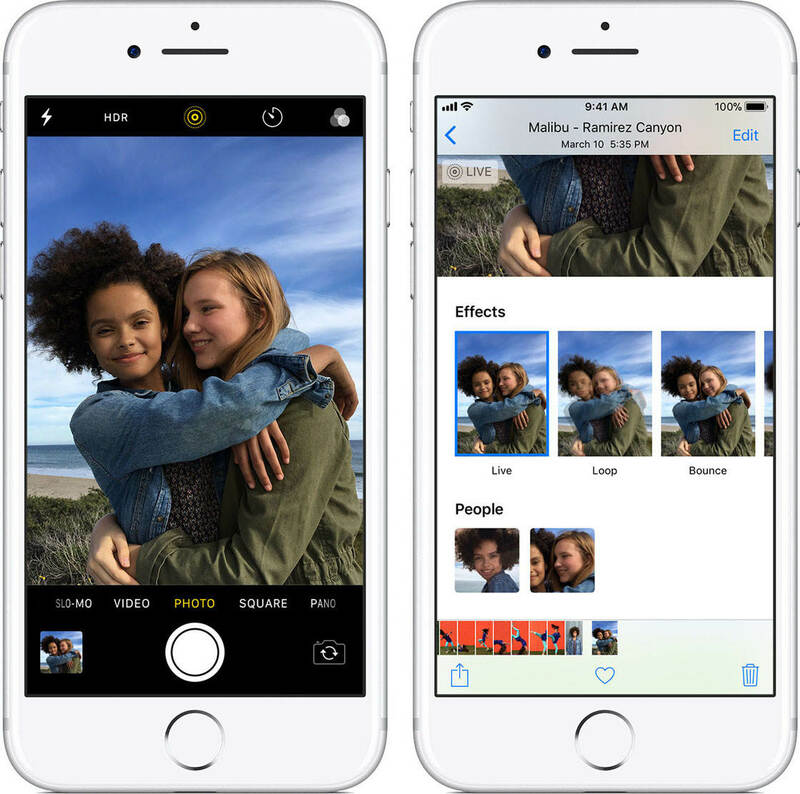 You can share Live Photos to another iPhone or iPad as long as it’s running iOS 9 or later. You can use iMessage, AirDrop or iCloud Photo Sharing. Use the Live icon at the top left of the selected image to choose whether you want to send it as a Live Photo or a still image. In the right-hand screenshot above, you can see that the Live feature is off. Next, select the sharing option that you want to use, e.g. iMessage, Airdrop, etc. Note that you can’t email a Live Photo. If you email it, the attachment will send as a still JPEG image. If you send a Live Photo to an iPhone 6s or newer, the recipient can play the Live Photo by pressing firmly on the screen. As well as sharing your Live Photos to other iPhones and iPads, you might want to share them on social media. Facebook and Tumblr already allow you to share Live Pictures. More social media platforms are likely to support Live Photos at some point too. If you want to share a Live Photo on Facebook, you can’t use the Facebook sharing option in the Photos app. Instagram doesn’t yet support the use of Live Photos. 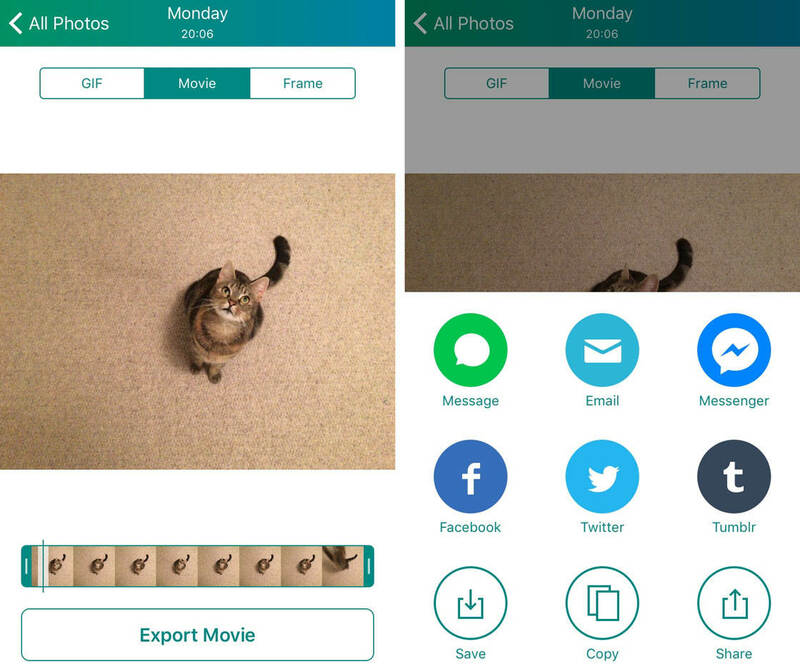 But you can use a third-party app such as Lively (free to download from App Store) to convert a Live Photo to video. You can then upload the video to Instagram. Here’s how to save live photos as video. You can then open the Instagram app and upload the video from your library. 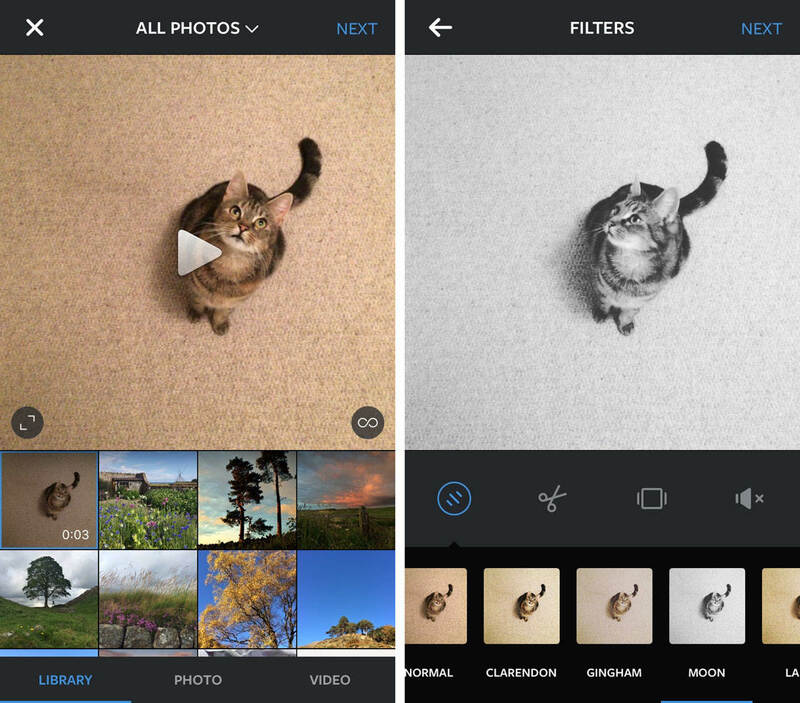 Before posting to Instagram, you can use the filters and editing tools to enhance your Live Photo. In the screenshot above you can see that I applied a black and white filter.